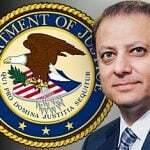 Preet Bharara, the former US attorney for New York’s southern district, was responsible for online poker’s so-called “Black Friday” in April of 2011. Now, the ex-federal prosecutor has written a book detailing his career trials. It was nearly eight years ago that the Department of Justice (DOJ) seized the dot-com domains and assets of online poker sites PokerStars, Full Tilt Poker, and Cereus (Absolute Poker/Ultimatebet). 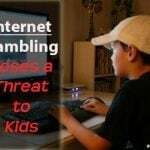 The 52-page indictment came as a result of the passage of the Unlawful Internet Gambling Enforcement Act (UIGEA) that made it illegal for payment processors and businesses to facilitate financial transactions related to prohibited online gambling. Those named in the indictment – which included PokerStars founder Isai Scheinberg – faced years in prison and the forfeiture of roughly $3 billion in assets. Customers saw their deposits frozen, with many only receiving their money back in recent years. 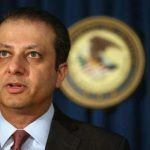 Bharara charged that the online poker sites were in violation of UIGEA, and were also allowing the laundering of money. PokerStars and Full Tilt later reached settlements with the Southern District of New York and regained their dot-com domains. Appointed by former President Barack Obama (D), Bharara’s tenure came to a close after President Donald Trump took office. The former casino owner turned politician requested that the district attorney resign, but that was something Bharara wasn’t willing to do. Trump ordered then-Attorney General Jeff Sessions to remove all 46 US attorneys appointed by Obama. 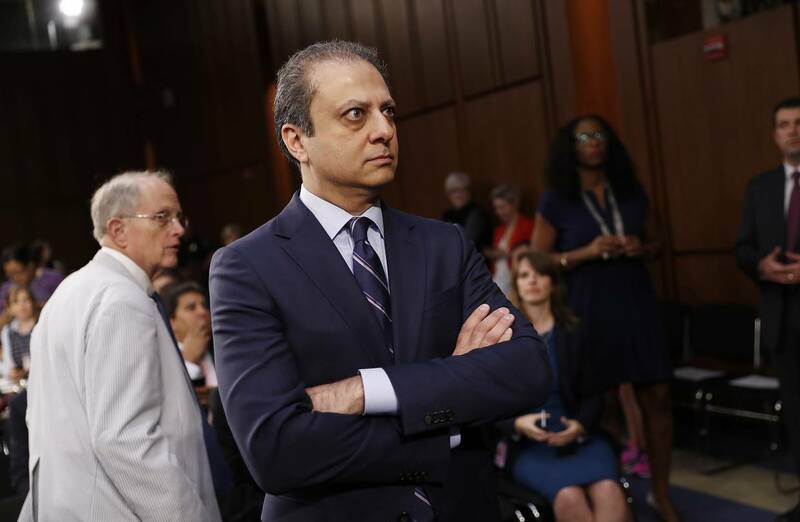 Trump fired Bharara in March 2017 after he refused to leave on his own accord. The former federal prosecutor has released a book detailing his career. Making the media rounds promoting “Doing Justice: A Prosecutor’s Thoughts on Crime, Punishment, and the Rule of Law,” Bharara is revealing his turbulent relationship with the 45th president of the United States. Bharara’s office was in the middle of investigating Michael Cohen – Trump’s longtime personal attorney – when the president called him in March of 2017. Cohen was sentenced to three years in federal prison late last year after pleading guilty to nine crimes including tax evasion, excessive campaign contributions, and making false statements to a bank. Online poker is legal in four states: Nevada, New Jersey, and Delaware, and Pennsylvania. Sports betting has also been liberalized after the Supreme Court struck down the federal ban last May. Eight states – Nevada, Delaware, New Jersey, West Virginia, Rhode Island, Pennsylvania, Mississippi, and New Mexico – have sports betting up and running. Only New Mexico and Rhode Island are banning customers from placing mobile wagers. While states possess the authority to dictate their own online gambling and sports betting laws for the time being, the DOJ’s recent reinterpretation of the Wire Act stands to threaten that reality.